TOP BUSINESS STRATEGY, GROWTH, AND TRANSFORMATION KEYNOTE SPEAKER. A Kaihan keynote is energizing, inspiring, impactful, and actionable. If your industry is being disrupted and attacked by competitors, old and new, you need Kaihan to speak to your group. What makes Kaihan different from other strategy, growth and transformation speakers is that he is able to understand and articulate the most pressing and challenging questions that are top of mind for your audience and organization. 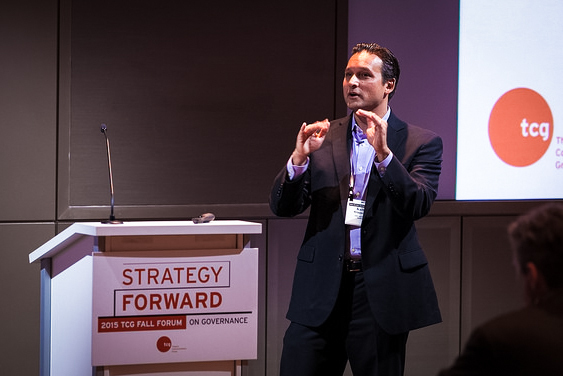 Exclusive access to strategy and innovation leaders via Outthinker Roundtables keeps him up to date on the latest trends and challenges facing organizations. His experience working in both the boardroom and on the front-lines let's him make subtle changes to his delivery so that the message resonates with your particular audience. Kaihan's experience performing research, interviews, analysis and strategic consulting for McKinsey and Company is incorporated into his keynote design process. Research and interviews that take place before Kaihan takes the stage help him to identify the most relevant issues and challenges facing your organization. 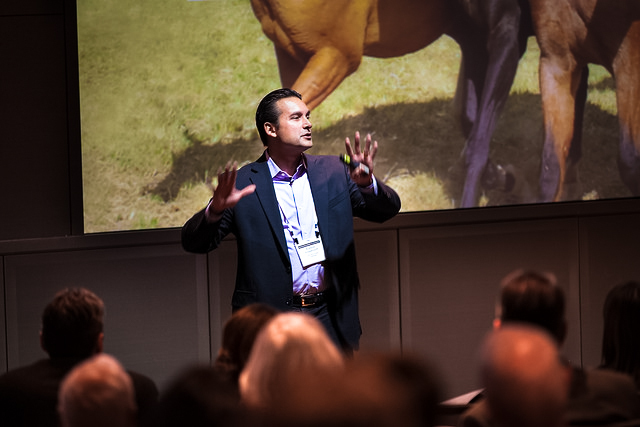 Every keynote Kaihan delivers is different – customized to over-deliver on impact, value, and drive meaningful change. When many hear “Blockchain”, they immediately think of fintech or cryptocurrencies like Bitcoin or Ethereum. This is a mistake. Blockchain is a disruptive opportunity for a wide range of industries – banking, real estate, healthcare, legal, supply chain, energy, insurance, media, retail, cloud computing, security, shipping and beyond. In this talk, Kaihan Krippendorff will explain Blockchain in language that normal human beings can understand – cutting through the noise and hype to help the audience understand how it works and the potential ways Blockchain might completely up-end their own industry and business. The financial services industry – from banking to payments to insurance – is undergoing a rapid and historic transformation. The shifting regulatory landscape, changing consumer/investor behavior, an endless stream of agile newcomers armed with disruptive fintech tools, and platforms powered by Blockchain and AI are mounting an attack on incumbent institutions and business models. Kaihan Krippendorff works with many of the world's leading financial institutions, helping them make sense of this uncertain future – understanding key future trends and technologies, designing fresh strategies and agile teams ready to face disruption head on so their organization can be ready to transform, compete, and win the future of finance. A successful entrepreneur, author, consultant and CEO that has created more than $2.5B in revenue for clients, Kaihan uses first-hand experience and actionable insights to present a compelling vision of the future world of financial services, arming the audience with a framework and tools that they can use to succeed in the tech-driven digital economy of the 21st century. The retail and apparel industries today are undergoing a rapid, historic transformation. A successful entrepreneur, author, consultant and CEO that has created more than $2.5B in revenue for his clients, Kaihan Krippendorff works at the cutting edge of the disruption, helping many of the world's leading retail and apparel brands navigate a future being shaped by radically shorter times to market, AI, robotics, augmented reality, hyper-personalization, data-driven decision making, and broad shifts in consumer behavior (environmentally friendly lifestyles, focus on health, nutrition, etc.). Drawing from the latest industry developments from Amazon to QVC and stories of yet-under-appreciated new attackers, Kaihan uses in this keynote first-hand experience and actionable insights to present a compelling vision of the future world of retail and leaves the audience with tools and an approach to develop a strategy to succeed in the shifting retail landscape of the 21st century tech-driven and digital economy.